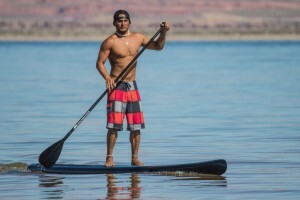 HURRICANE — Dig Paddlesports presents the Triple Threat Race Series on three of Utah’s state park reservoirs, with the first, “Hurricane Spring Paddlefest,” shoving off Friday at noon and continuing through Saturday at Sand Hollow State Park. The Triple Threat Race Series will continue on Aug. 1 at Rockport State Park and Nov. 24 at Quail Creek State Park. 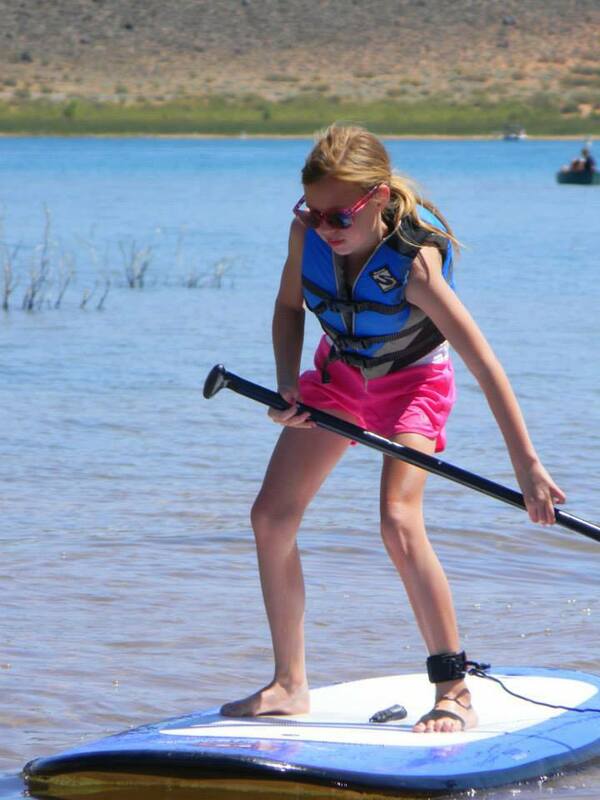 This weekend’s paddlefest at Sand Hollow includes a meal at the Beach Grill, door prize raffles and unlimited participation in all events. Door prizes include Imagine’s 8 foot, 2 inch-Snap Surf SUP, or stand-up paddleboard, designed by Dave Kalama. Other great prizes will be awarded thanks to Riviera SUP, Torch Paddles, as well as other event sponsors. Kids race free with every paid adult entry. 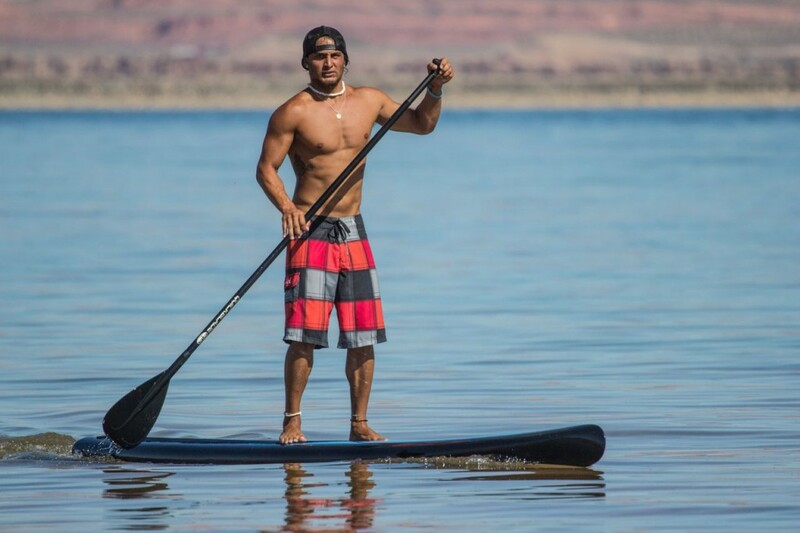 Friday is check-in at the Beach at Sand Hollow from noon to 9 p.m. Bring your decks and wheels for a parking lot land paddle race Friday evening. – always wanted to try a Hamboard or a Kahuna Creations Bombora with a big stick, but didn’t have the opportunity? Now’s your chance! Please wear a helmet. Friday evening will offer a night paddle sponsored by Torch Paddles, creators of the first production LED-illuminated recreational paddle on the market. Paddle in the dark no more! Board demos will also be available Friday, along with paddling clinics. Saturday’s festivities include distance races, kids’ races, relay sprints and board demos. If you can paddle it, bring it. 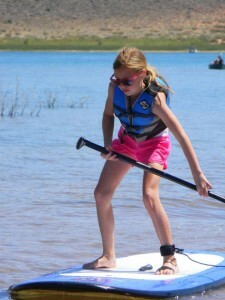 Paddle rentals are available through Dig Paddlesports and The Beach at Sand Hollow. Camping is available at the Sand Hollow Campground. Other lodging options are Coral Springs Resort and Holiday Inn Express. Registration is still available for $35 and includes a meal at the Beach Grill. Naked and hungry admission is $20 and includes race only. Kids are free with each paying adult, otherwise $10.